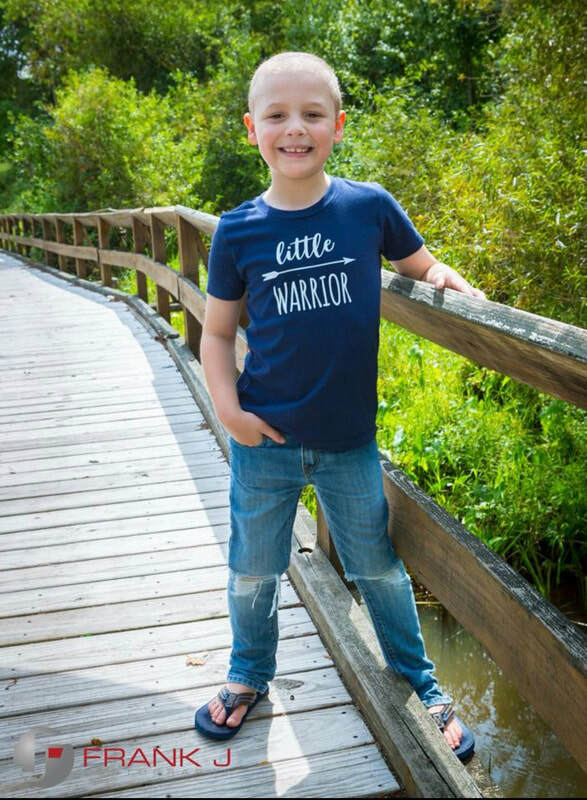 Many people are unaware that there are 16 major forms of childhood cancer (with hundreds of subtypes), so while some of the more common forms of childhood cancer (such as acute lymphoblastic leukemia, ALL) have seen progress over the years, other types of childhood cancer have the same low chance of survival as they did decades ago (DIPG, a form of pediatric brain cancer has a 0% survival rate). 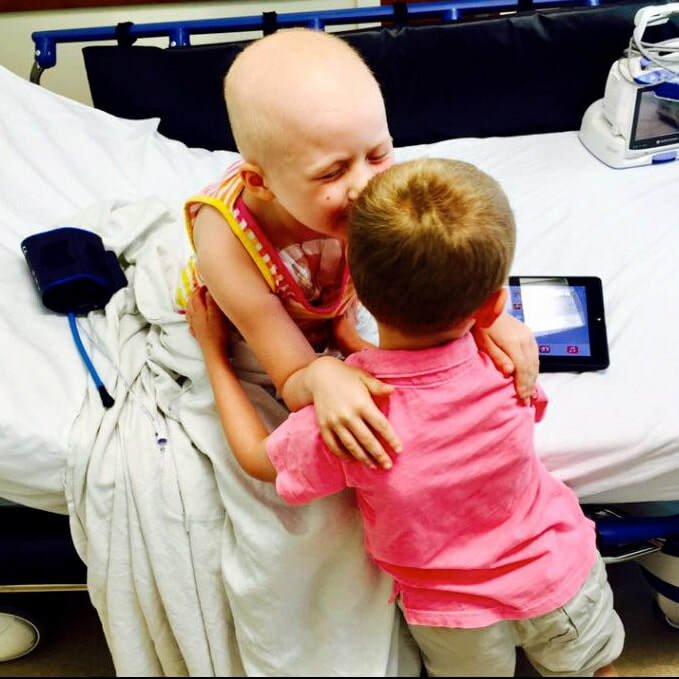 Each year Infinite Love chooses a different form of childhood cancer to focus our fundraising efforts on, and since no two childhood cancers are the same, financial research grants are given based off of a competitive peer review process. By utilizing Proposal Central and this peer review process, we're able to award the grants to the highest scoring applicants, which means that we are always funding the best of the best for that particular form of childhood cancer. Please help us honor the thousands of children who are fighting, the survivors, the children who have died, and most importantly, for those who have yet to be diagnosed by supporting our efforts today. Thank You. Grant 1 - $25,000 towards Dr. Anthony Faber's (Virginia Commonwealth University) research investigating the safety and efficacy of SHP2 inhibitor drugs in high-risk neuroblastoma patients. Grant 2 - $25,000 towards Dr. Xingguo Li's (University of Rochester) research for PRMT1 as a therapeutic target in neuroblastoma with the hopes of, "making neuroblastomas more amenable to therapy and neuroblastoma patient survival the rule, rather than the exception." Grant 3- $25,000 towards Dr. Robert Schnepp's (Emory University) research for targeting the LIN28B-PBK Axis in neuroblastoma. Grant 4 - $25,000 towards Dr. Satyaki Sengupta's (Dana-Farber Cancer Institute) research for epigenetic mechanisms underlying immune evasion in neuroblastoma. Grant 5 - $50,000 towards Dr. Wei-Tien Tai's (Boston Children's Hospital) research for CATR T-cell therapy for neuroblastoma. Grant 6 - $25,000 towards Dr. Muxiang Zhou's (Emory University) research for selective small-molecule inhibitor in neuroblastoma. Grant 7 - $25,000 towards Dr. Malgorzata Krajewska's (Dana-Farber Cancer Institute) novel therapeutic strategy in neuroblastoma. The following additional 2018 grant was given to the Children's Brain Tumor Consortium (CBTTC) which is a collaborative, multi-institutional research program dedicated to the study and treatment of childhood brain tumors. Grant 1 - $50,000 toward Dr. Lin Xu's (UT Southwestern Medical Center) research in identifying new therapeutic target genes and drug combination strategies to improve the treatment of RMS. Grant 2 - $50,000 toward Dr. Filemon Dela Cruz's (Memorial Sloan Kettering) research in targeting the P13K/AKT/mTOR axis in MYOD1 - mutant RMS. Grant 3 - $50,000 toward $50,000 towards Dr. Lingling Chen's (Johns Hopkins University) research to investigate the TME of RMS in hopes of understanding the mechanisms by which it is able to escape immune detection. ​Grant 4 - $25,000 toward Dr. Eleanor Chen's (The University of Washington) research to characterize the role of specific DNA alternations in RMS and to ultimately identify important therapeutic targets to improve survival of RMS patients. ​Grant 5 - $25,000 toward Dr. Alessandra Welker's (Massachusetts General Hospital) research to test new antibody drugs and small molecules that block PlexinA1 signaling. Dr. Keller's promising work regarding wilms tumor. Grant 1 - $100,000 toward Dr. Charles Keller III (Children's Cancer Therapy Development Institute) for his research into the functional genomics of anaplastic Wilms' Tumor. Children with the anaplastic variant of the disease tend to respond poorly with much lower survival rates and for those who do survive the result is significant long term side effects. This preclinical study seeks to characterize the genomic landscape of Wilms' and explores novel drug combinations which might be more effective and less toxic for children with anaplastic disease. The ultimate goal is to develop a strong rationale for the use of this novel drug combination in clinical trials for children with anaplastic Wilms' tumor. Erin was born in Scotland and moved to Australia with her family when she was six years old. An energetic and sporty kid, Erin enjoyed gymnastics, ice-skating, dancing, soccer, surf lifesaving and going to the beach. Even after being diagnosed with an inoperable brain tumor with a 0% survival rate, Erin never gave up on her fight, nor did she ever give up on the fight against childhood cancer being one of the strongest advocates that the childhood cancer community has ever seen. "It's a long road, A very, very long road, But I will take the ride. God is in the driver's seat, I have no control. But I will take the ride. It may hurt, the ground may tremble, my own body might fight against me. But all is not lost. For there is good. A light, a bright one, at the end. And I will glow. I wish this never happened. But I am stronger. Grant 1 – $50,000 toward Dr. Emily Slotkin’s (Memorial Sloan-Kettering Cancer Center) research aimed at nucleic acid based therapeutics for the targeted treatment of Ewing sarcoma. Grant 2 – $50,000 toward Dr. Brian Crompton’s (Dana-Farber Cancer Institute) research aimed at targeting FAK and integrin signaling in preclinical models of Ewing sarcoma. Grant 4 – $14,000 toward Dr. Gregory Friedman’s (University of Alabama) research aimed at targeting pediatric brain cancer with engineered Herpes Simplex Virus. "Benjamin will always be our handsome, brave and witty oldest son who often worried about others before himself. He brought so much laughter and joy to those who had the privilege to spend time with him. He was often described as an old soul trapped in a young boy’s body. Everyone who met Benjamin had nothing but kind words to say about him and really grew to love him instantly. To say Benjamin was intelligent would be a huge understatement because his wit and charm could never be described quite that easily. You really had to know Benjamin to appreciate his sassy nature, his kindness and love for others." Grant 1 – $50,000 toward Dr. Kevin Shannon’s (UC San Francisco) research in combining existing drugs with small molecules that target biochemical pathways that drive the growth of AML cells. Grant 2 – $50,000 toward Dr. Don Small’s (Johns Hopkins Cancer Center’s Division of Pediatric Oncology) research in developing molecularly targeted therapy for FLT3 mutant pediatric acute myeloid leukemia. 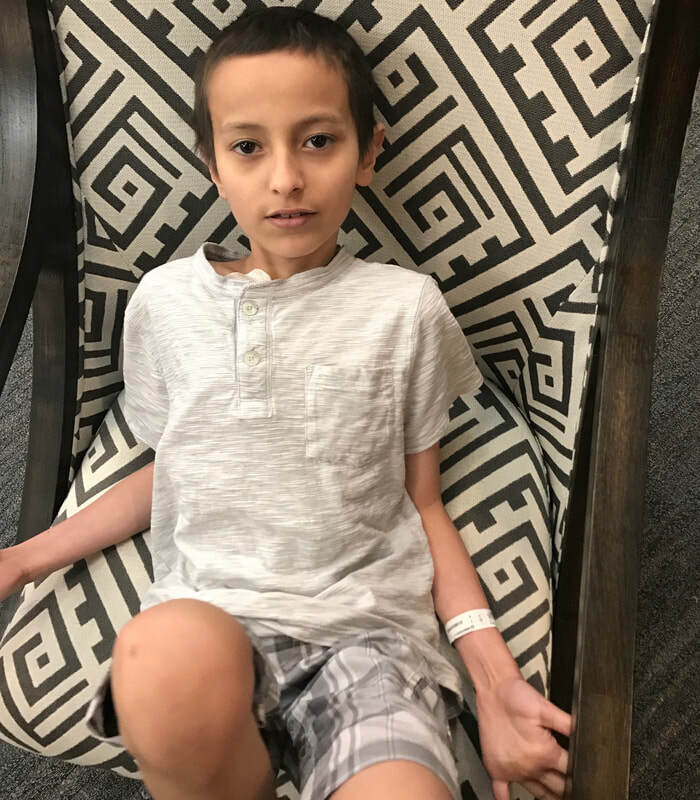 Grant 3 – $10,000 toward Dr. Saro Armenian’s (City of Hope) research to lower heart failure risk amongst childhood cancer survivors.